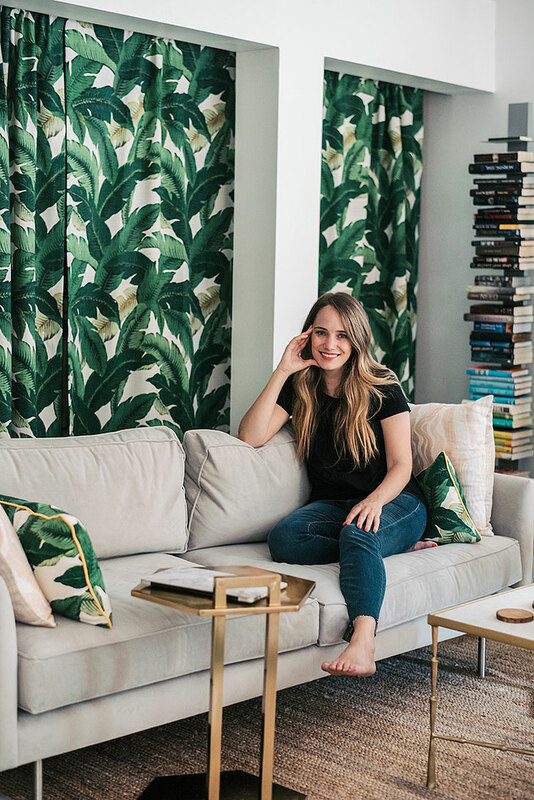 When Grace Atwood of The Stripe moved from her tiny studio apartment to a one-bedroom apartment in Brooklyn, she turned to us to help add style and comfort to her large living room. 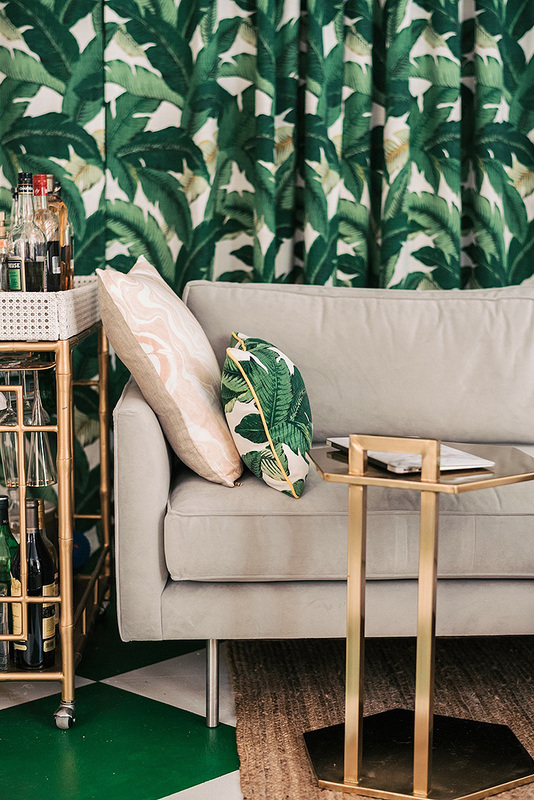 Read on to learn more about Grace and see her colorful space. What was the most challenging and most rewarding part about decorating your new apartment? Figuring out the flow! The living/dining area is very large (a problem I’ve never had in New York) and it took me a bit of time to figure out where I’d put the bigger items (dining table, workspace, couches). But once I figured that out, the rest was easy! A mix of vintage and glamorous with bright pops of color. Trying to put too much stuff in a small space. Less is more! Also, I have a tendency to go overboard with color. What was the inspiration behind your living room? The Beverly Hills Hotel! It’s my favorite place and I love all things palm and banana leaf. What made you choose Room & Board for your sofas? They’re incredibly well-made (and made in the US!). I wanted couches that would last a while. I love that they’re really sleek and modern but still comfy! My parents, my sisters, all the stylish women on the streets of New York. My cat Tyrion, chocolate, yoga. I’m not very big into trends, but I do love that red is such a big color this year… it’s one of my favorites!